Our project "More biking in small and medium sized towns of Central and Eastern Europe by 2020" (mobile2020) has ended. 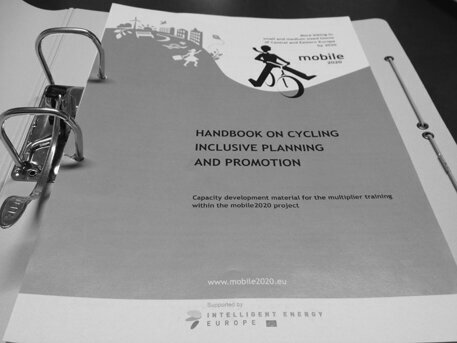 Read about our approach and achievements in our brochures "gaining momentum" and "keeping balance" or dive deeper into utility cycling with the mobile2020 handbook. A lot in mobile2020 has to do with increasing knowledge and skills and to promote further the good knowledge of others further across Europe. 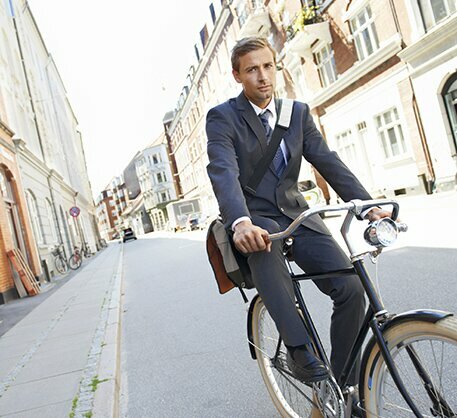 mobile2020 will give Eastern European towns and their staff covering the topic of cycling a chance to get trained in seminars on cycling planning. Representatives from engaged cities will furthermore have the chance to participate in study visits to frontrunner cities in Germany and the Netherlands. 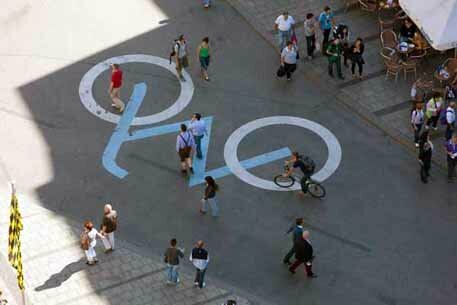 During the last months, a comprehensive handbook on cycling planning for municipalities has been developed by the project partners ISOE and University of Technology, Hamburg. It is currently available electronically as PDF. 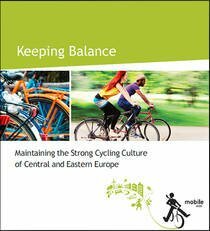 This handbook draws partly on experience from previous projects all over Europe and adds up-to-date cycling expertise from practice and research. 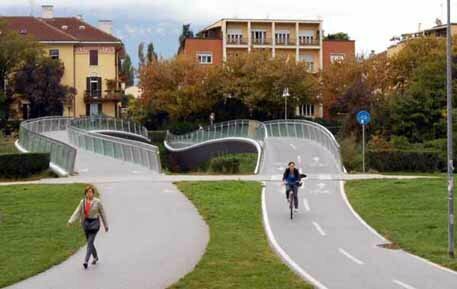 In four sections, practitioners can learn more about proper cycling infrastructure, how to integrate cycling into planning from the very beginning, which type of services can support cyclists and how cycling can be communicated in the right way. The handbook will equip the reader with a wide knowledge on such aspects as how a safe cycling network can be set up, how parking facilities can be designed, how cycling can be combined with other modes of transport and how new user groups can be approached. Case studies and good examples demonstrate how things are done all over Europe. If you are an urban, transport or cycling planner or just interested in cycling, don’t hesitate to ask for the handbook now. Drop us a line so that we can follow-up where the handbook was distributed – free of charge and no strings attached. National trainings were organised in all participating countries. To find out more, get in touch with your national coordinator by selecting your country page.